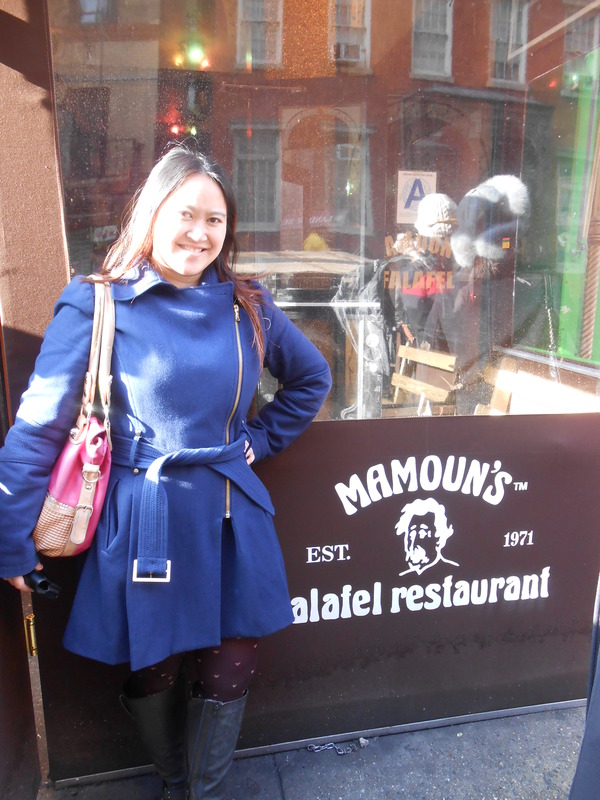 Our first food stop was Mamoun’s Falafel, a favorite among NYU students and for good reason: It is delicious and cheap. 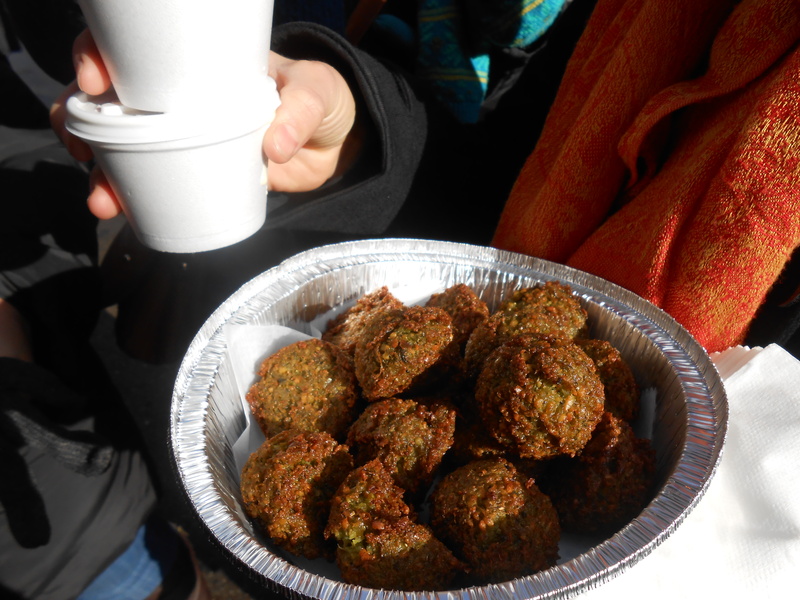 I sampled one of the falafel balls with tahini sauce, which was incredibly flavorful and warm. 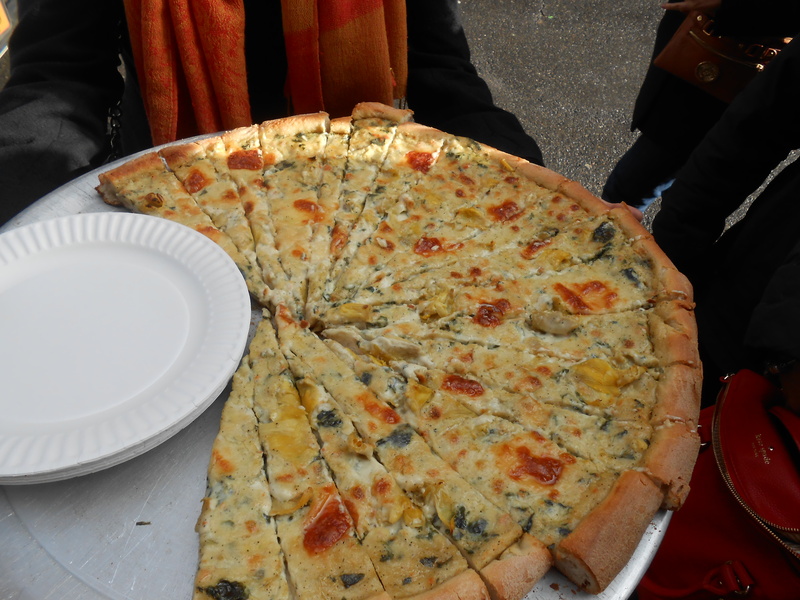 Next, we sampled ¼ of an Artichoke Pizza slice for $1, which was definitely enough! It was a slice of creamy, cheesy goodness, though I would have appreciated more artichoke pieces. Bantum Bagels was actually one of the places I didn’t know about. They sell bite sized bagels with cream cheese filling inside. I was tempted to buy one of each flavor, but realized that would be way too much so settled for two bagel bites: One sweet and one savory. 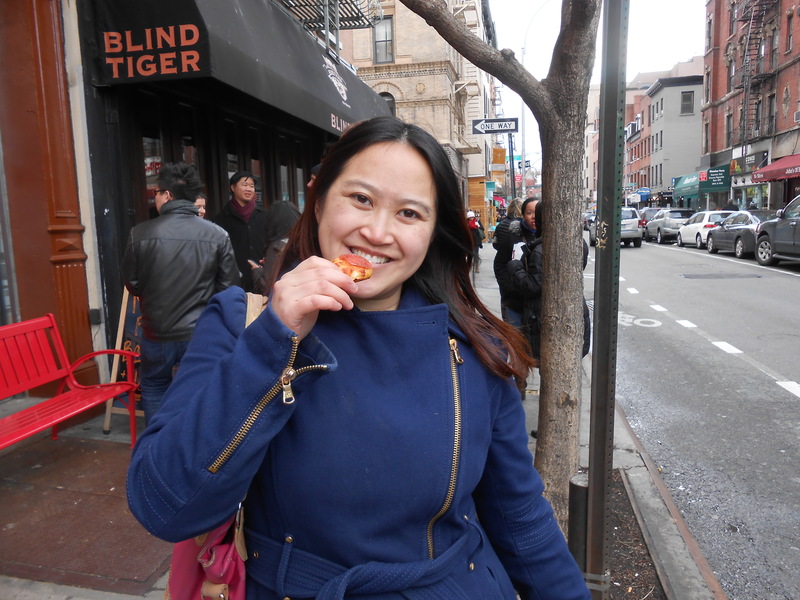 Bleecker Street was a delicious mouthwatering little ball of cheddar cheese with a pepperoni on the outside and marinara mozzarella cream sauce on the inside. The French Toast flavor is made out of a cinnamon nutmeg egg bagel and filled with buttery maple syrupy cream cheese. It was delightful, tasting of sweet toast, cinnamon and sugar. 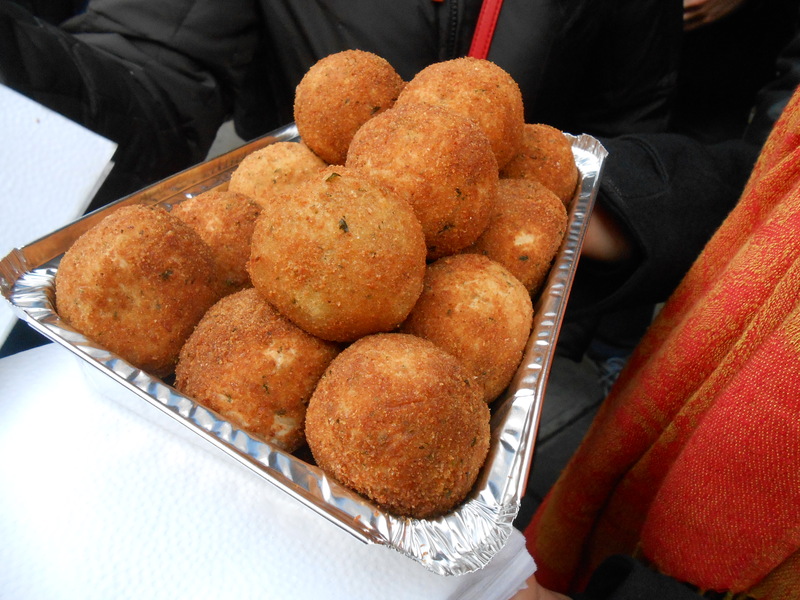 At Faicco’s we tried the risotto rice balls, which were mediocre. I wasn’t too impressed; it wasn’t flavorful and cheesy enough for me. 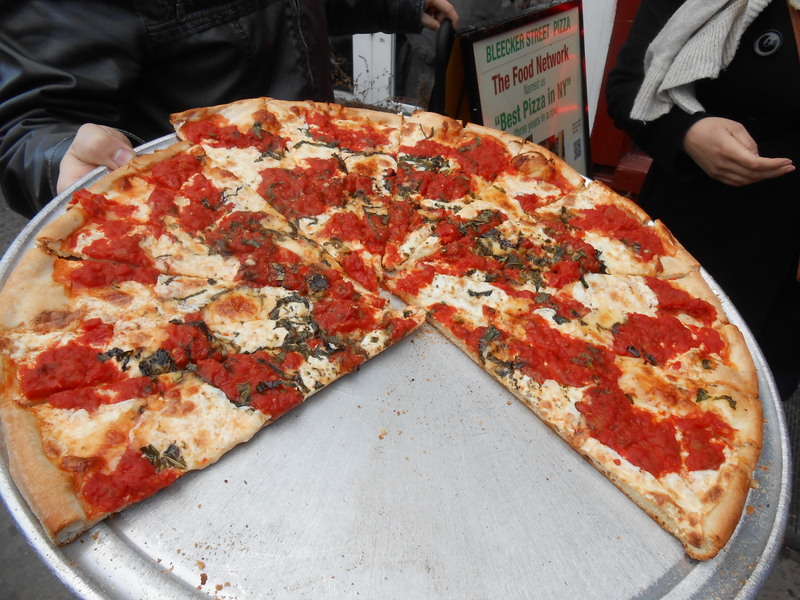 Bleecker Street Pizza is a well known thin crust pizza establishment. We tried the basil cheese kind and enjoyed the fresh flavors. The last place we visited was Sugar & Plumm. Unfortunately, their ice cream parlor shop in the back was closed, so I couldn’t get a milkshake. 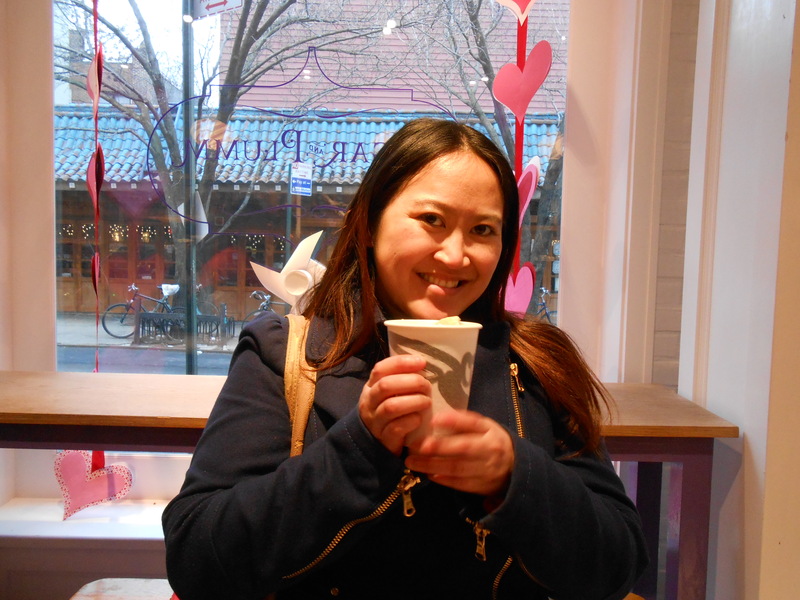 I was quite happy with the hot chocolate actually- It was sweet and very rich with chocolate flavor. It was made even better by the addition of a huge sweet, thick and fluffy marshmallow. I also tried their salted caramel French macaron which was a bit too sweet for me. 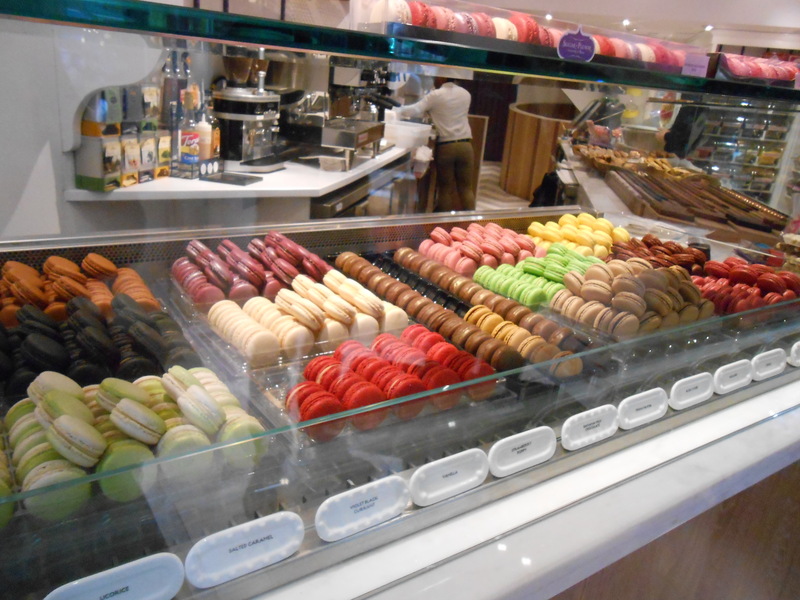 I would skip the macaron if you go; there are far better places. Overall, a very fun, delicious and informative tour… Also, it was very affordable- I ended up spending under $15 at all 6 establishments! In order to go on this tour (as well as many others), please visit Free Tours By Foot, a walking tour company that gives free walking, food, bike, bus & shopping tours. They are also available in other cities such as London, Berlin, Chicago, San Francisco, Washington DC and many more. I’ve been known to keep more than 10 hot chocolates in my kitchen and live in the West Village; Sugar and Plumm is among the best around here!